Set in the rugged landscapes of 19th Century north east England, this 89-minute adaptation of Nikolai Leskov's novella 'Lady Macbeth of the Mtsensk' is directed by acclaimed theatre director William Oldroyd and stars Florence Pugh (Katherine), Christopher Fairbank (Boris the father-in-law) and Cosmo Jarvis (Sebastian the lover). A young woman is sold into marriage, along with a piece of land, to a middle-aged man who is not the least bit enamoured by her. Stifled for too long by stern restrictions put upon her by both her husband and father-in-law, she simmers with growing frustration. When she encounters Sebastian the groom, a force is unleashed within her as she enters a passionate affair and will now do whatever it takes to preserve her new found happiness. Shot more contemporary than period, the cinematography is amazing. With its wide screen frames, the stillness at times broken only by breathing or the sounds of the landscape, gives it a sense of tactility and physicality. 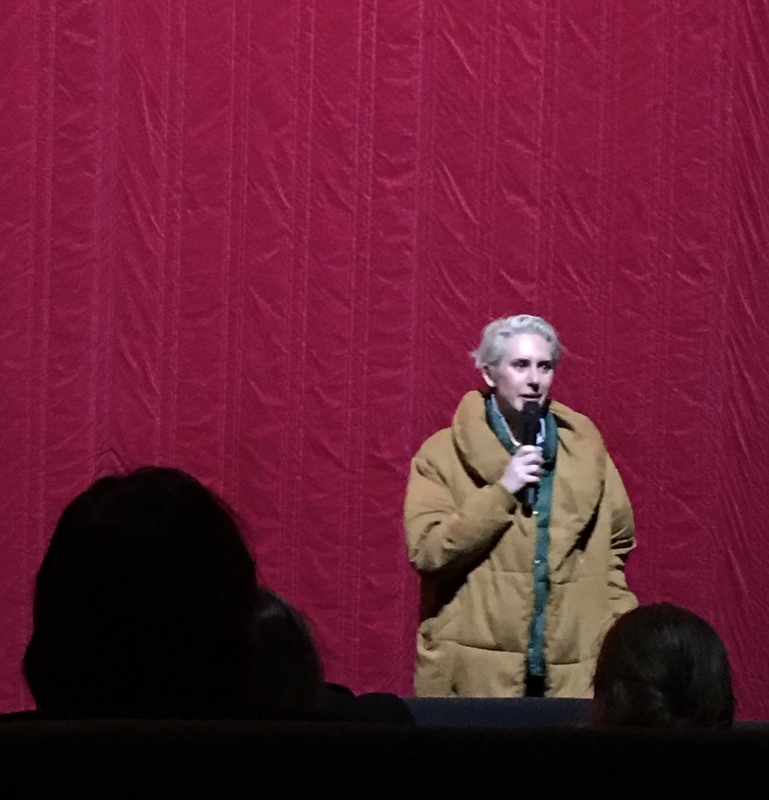 Shot by Ari Wegner; an Australian cinematographer who has worked on a number of short films and more, the highlight of the night for me was having this amazingly skilled young woman in the flesh, introduce the film to us. 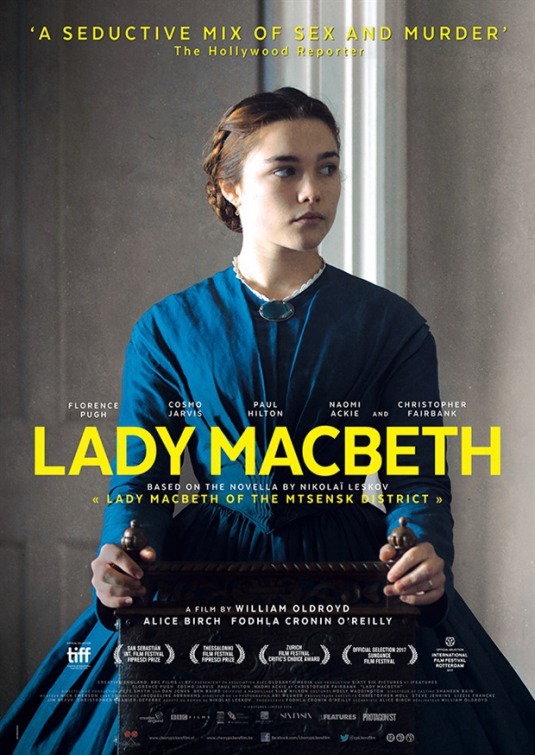 The other young creative that doesn't go unnoticed is leading actress Florence Pugh who steps into the role of Katherine confidently. She performs the task of balancing your emotions, as it divides between empathising with her and being horrified by her with great skill. She convincingly transitions from stifled teenage bride to a liberated spirit as she sweeps you along for the ride on the road to damnation. It's hard to believe this is only Pugh's second film, which has launched her as a major talent. The rest of the accomplished cast fades into the background, as Pugh's performance has an imposing presence, holding its own amongst more experienced actors. For me, the film itself ran along at a great tempo until towards the end, where it felt a bit of a farce; rushed and disjointed in racing to its conclusion. It's still well worth watching for Pugh's performance alone, along with the cinematography which is engaging.